Perhaps it says it on the back of your watch. Or maybe it’s written in small text on the face. We’re talking, of course, about a watch’s water resistance. Water is necessary for many things to run smoothly, like humans and plants. But when watches and water mix, the results can vary and lead to one unhappy — albeit busy — watchmaker. So what is water resistance? That term, if found somewhere on your watch, means the timepiece is humidity tested and you won’t have to worry if it encounters some brief water exposure. This means if you were to get caught in a rainstorm or have some water splash up your wrist while doing the dinner dishes. It doesn’t mean the watch is guaranteed to function after swimming or showering while wearing it. 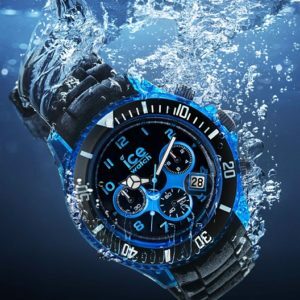 There are levels to water resistance, which just means a less expensive watch in the $20 neighborhood probably isn’t your best bet to survive a trip 30,000 leagues under the sea. The International Organization for Standardization (ISO) sets standards for water resistance and uses an atmosphere scale, where one atmosphere (or ATM) is equal to about 10 meters or roughly 30 feet below the surface. A watch with 3 ATM (~100 feet) is suitable for everyday use, but is not suitable for swimming, whereas 5 ATM would be safe for bathing. 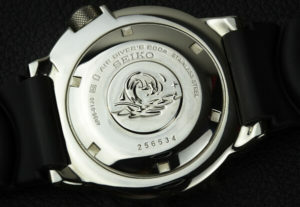 A watch needs to be at least 10 ATM to be suitable for swimming and snorkelling, while 20 ATM is the threshold for high-impact water sports and diving. 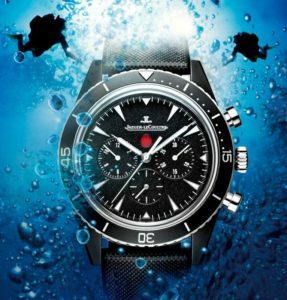 For a timepiece to be considered a diver’s watch, it needs to be water resistant to at least 100 meters below the surface. However, for the longevity of the watch’s sake, it’s best just to take it off before entering bodies of water, pools or showers. Suitable for everyday use. Will withstand accidental splashes but not suitable for swimming. Suitable for everyday use and bathing but not suitable for swimming. Suitable for everyday use and swimming and snorkelling but NOT suitable for high board diving or sub-aqua diving. Suitable for all high impact water sports, scuba diving and saturation diving. Suitable for deep sea diving and intergalactic travels. Regardless of how your watch is rated, I tell EVERY customer to keep their watches as clean and dry as possible. I have seem far too many nice watches come into my shop badly damaged by water and rust. In the last 4 weeks I have had 4 Rolex watches come into the shop that were rusted beyond any repair. Each customer had the same story. ” they have always worn their watch in the (pool, shower, ocean) and never had a problem before. Now suddenly their watch is full of water and not running. Keep this statement in mind ” It is not if your watch will leak, it is just a matter of when“! Excellent piece (As usual) and I will repeat what I have said before. Great article. I agree a good wathe doesn’t need to go in the water. Thank you for raising this important topic periodically. As per my experience the wet test is more reliable than dry pressure test. Although with more hesitation for watch maker. I mean I’ve seen watches that passed the dry test successfully in both directions (vacuum and pressure) but during the wet test I realized the leakages. Air can pressurized more easier than water and this is the point I believe. During a short time of dry test, the device cannot determine the small leakages due to sensitivity of pressure gauge but in wet test even a small amount of water can do a big effect in system pressure, visual inspection also involved. It would be great if you tell me your opinion about wet and dry tests. Maybe it has to be discussed in separate post.